I’ve been missing in action for a while. Sorry about that, I’ve been contemplating on how to get The Candy Shop published and working on a cover design as well as focus on other novel projects. Not to mention a full time job lol, but C’est la vie. The sequel to my beloved Candy Shop novel, Guilty Of Sin is in development right now as well as the sequel to Sacred Swords that still has yet to be titled. I’m working with a coworker of mine on a sci-fi novel that is going to be action packed from cover to cover as well. I’m writing a semi horror thriller novel with my talented little big sister based on her intellectual property that’s friggin amazing. So I’ve been busy to say the least. Bear with me as I bare it all through blood sweat and ink. I’m a writer with a lot to ahow the world and thanks for sticking with me! As you know I write poetry as well as original stories. Sometimes short in length others are novel length. 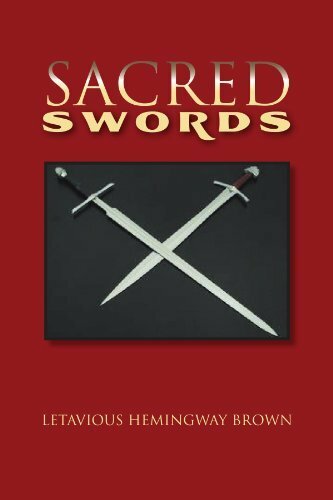 One of my moat Sacred is my novel Titled Sacred Swords. Its a young adult fantasy fiction novel based in modern times. It’s the story of two college students who were on their spring break together during their senior year. They go from normal students to finding out they are descended from God’s and destined to defend the world from a force of true darkness and his physical manifestations of the Seven Deadly Sins. Armed with their Sacred Swords Hurricane, and Soliel they set out to master their newfound abilities and prevent the world’s destruction, all while passing finals. College life is a difficult one. I’d like to take the opportunity to share my novel with yet another audience because I’m a writer simply looking for readers. A few years back I met my wife and the floodgates of inspiration opened and never closed. I’ve written hundreds of poems and countless short stories all based on my interactions with her. I wouldn’t be half the writer I am today if it wasn’t for her. That being said, my novel Sacred Swords came of a dream I had about her one night. I started writing it just to get the idea out of my head and then boom it was a full novel length story that I published through Xlibris. Sacred Swords takes place in an alternate world where all things seem normal like our world until two young adults take their spring break trip to the beach city of Port Coastal, a fictional city on the coast of South Carolina. Once there two Sacrd Swords are bequeathed to them from the sky and their journey begins. Not only do the two main characters learn they are descended from two ancient Gods, they learn that they must protect the world from a great evil that is on the verge of returning. Creatures they believed to be fictional are real and more times than not a threat to their existence as they learn and grow towards mastering their blades and natural abilities. Long time friends are not all they seem, and tomorrow isn’t certain for them as they try to prevent the world’s destruction. It’s an action packed story from beginning to end and I would love to share it with the world. It’s out and available now for order and digital download. I’ve made a Facebook page for it, http://www.Facebook.com/sacredswords u also post things for my other original stories too.